The Penultimate app has long been a favorite around the office. 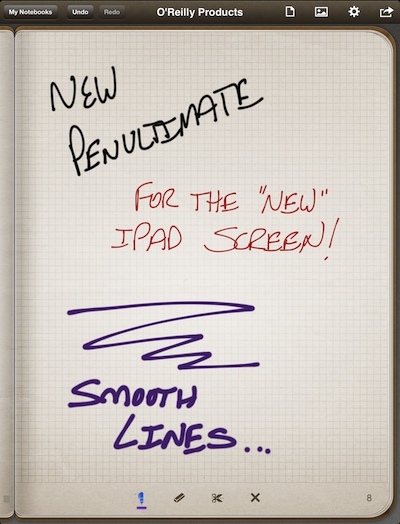 The app offers an endless number of notebooks to write and draw in. There are a variety of ‘papers’ to choose from, included with the app, as well more advanced to purchase. Most of us love the blank white paper or grid design. Penultimate has replaced the need to draw an idea out on a napkin at a restaurant. Being able to share a page or a full notebook means our notes are never stuck on the iPad. Today’s update will work fine on all iPads, but those folks with the New screened iPad will really like it. The lines are much smoother as Penultimate takes advantage of the resolution available to it. We compared to the notebooks we had created previously to the drawings after the update and didn’t see anything. We then found out that Penultimate updates those old pages upon the first launch so to really see the difference you have to compare to a iPad with the previous version still on it. Like we said, individual pages and full notebooks can be shared with others. 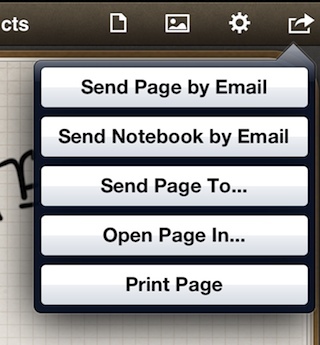 Also, the pages can be sent to or opened-in other apps on the iPad. This ‘send page to’ is important for a post we will do in a couple days. 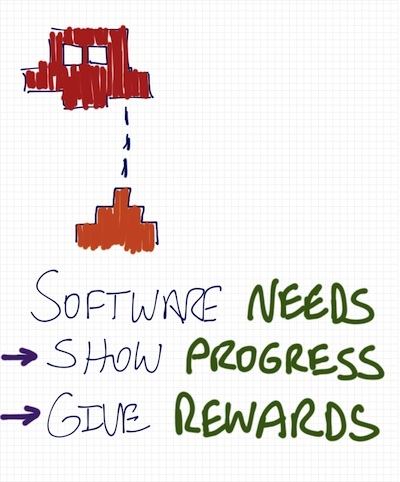 One of the team did a complete presentation with quick sketches and text on the iPad using only the variety of pens width and colors available in Penultimate. It was a lot of fun and showed that presentations can be a lot more fun with an iPad and no bullet points!